Arkhangelsk-based Nordavia began shifting its operations from Sheremetyevo to Domodedovo in 2015. In the spring of last year, Nordavia signed a code-sharing agreement with S7 Ailrines on a number of routes from Moscow to destinations in the north of Russia. The first regular flight to Domodedovo in Arkhangelsk carrier’s history was made a year ago, on March 29, 2015, from Syktyvkar. “We confirm that Nordavia is transitioning its regular flights to Domodedovo. Charter flights in the interests of their customers may still be operated to and from Sheremetyevo. 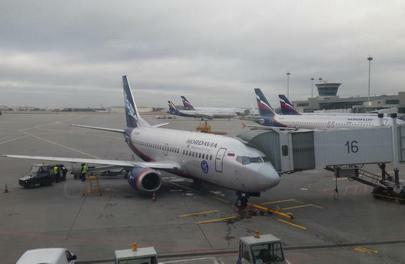 Their main destinations from Sheremetyevo in the winter season were Murmansk, Arkhangelsk, Apatity and Sochi, with up to 75 flights being operated per month,” Sheremetyevo’s spokesperson told Russian Aviation Insider. Domodedovo in turn commented that Nordavia has operated regular flights to Murmansk, Arkhangelsk and Naryan-Mar, and the number of weekly flights will grow from 7 in the winter schedule to 14 in the summer. “We have left Sheremetyevo because we are expanding our cooperation with the S7 Airlines and we consider Domodedovo as the best solution for connection flights. We are also trying to take advantage of the Domodedovo Transfer Service programme, which is offered by the airport. So far we have not benefited much, but hope the results will be better once the transition is complete,” Nordavia’s corporate communications director victor Anoshkin told Russian Aviation Insider. Nordavia—originally known as Arkhangelsk Air Lines, renamed to Aeroflot-Nord after acquisition by Aeroflot in 2004 and owned by Norilsk Nickel since 2011— has just changed owner once again. Сo-owner of Red Wings Airline, Sergey Kuznetsov, has recently acquired Nordavia’s assets from Norilsk Nickel. According to Vedomisti Daily, Arkhangelsk carrier is so heavily debt-laden that the “amount of the transaction must have been symbolic.” The airline operates nine Boeing 737-500s.